Celebrity baby news has hit an all-time high in the past few months with several of our favourite shining stars welcoming little ones into the world. And, much to our enjoyment, many celebrities enjoy sharing precious pictures of their new babies with the world via social media. Born at the end of June 2016, Onyx is certainly a little gem! 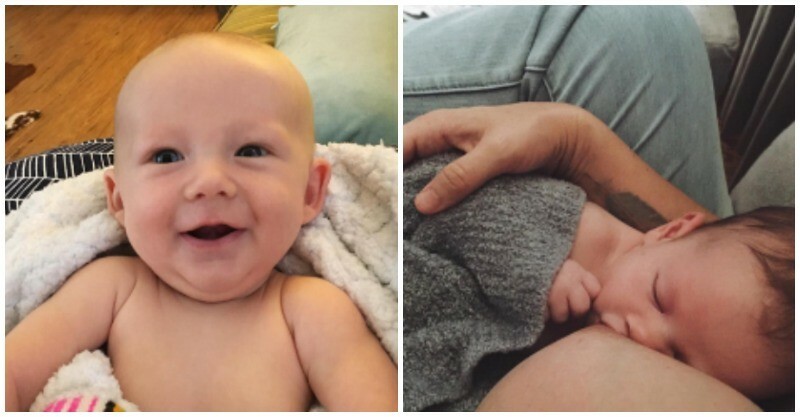 Her mum shared this adorable breastfeeding shot to her Instagram page this month and we instantly fell in love with the little lady. Alanis and hubby Mario also have a son, Ever Imre. Liv and Lula are currently in Australia and it looks like little Lula is loving being down under! The precious little beauty is now seven weeks old and has two big brothers to protect her – Milo and Sailor. Tess’ little man is certainly growing into quite the charmer as he celebrates turning three months old with a cheeky smile. Tess, who is also mum to son, Rylee, is back modelling while also taking care of her two little sweethearts. It was the question on everyone’s mind last month when the Oliver clan welcomed their fifth child to the bunch – what will baby Oliver’s name be? And the couple didn’t disappoint choosing River Rocket. Because when you have siblings Daisy Boo, Poppy Honey, Petal Blossom Rainbow, Buddy Bear and your dad is one of the most well-known celebrity chefs of all time, it’s only natural that you choose an earthy first name and a type of lettuce as the middle name. John Legend has never been shy about sharing his love for his wife Chrissy and she has certainly been a muse for some of the sweetest love songs to hit the charts. But these days John and Chrissy are completely wrapped up in their little Luna who is the perfect combination of the pair. We absolutely love seeing photos of this little beauty as she grows! He made us chuckle on American Pie but Chris Klein and his wife Laina Rose Thyfault have other things on the menu these days – parenting. The couple welcomed their first child, Fredrick Easton Klein in July and keep us up to date on how he is progressing on Instagram often. There have been a few other bubs born in the past month including Journey River (Megan Fox and Brian Austin Green) as well as Monte Pearce (Carice Van Houten and Guy Pearce) but we haven’t been given any sneaky social media peeks as yet. Stay tuned as we count down the arrival of the next batch of celebrity babies as Melanie Vallejo, Olivia Wilde, Mila Kunis and Blake Lively are all expecting their next additions soon.